Jake is a Search Engine Optimiser and Copywriter for the Smart Domain Group - a Kent based SEO and Web Design agency. Working on a range of websites, including eCommerce, Jake writes and optimises content for a variety of companies and writes articles on a variety of subjects. When he is not working; he spends his free time playing video games, researching new technology or trying to catch up on Game of Thrones. Find him on Twitter @jwhiting2704. How Do You Gauge the Success of a VR Experience? Stepping into an artificial world is an exceptional experience, but just how do you gauge the success of a virtual reality (VR) experience? Well, there are many different methods to gauge success, and each method gives different results. VR is used in a variety of industries—primarily in gaming—but it has been used for informative 360-degree videos and tours of buildings. Despite the different purposes, the success of these experiences can be gauged using the same methods. 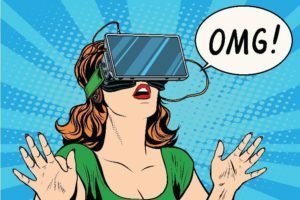 Within this article, we will go through the different ways the gaming industry gauges the success of a VR experience. Continue reading How Do You Gauge the Success of a VR Experience?